Wolfsburg - Edin Dzeko believes his former club VfL Wolfsburg "definitely" have the quality to qualify for Europe this coming season. Speaking after Manchester City's 2-0 friendly victory at the Volkswagen Arena on Saturday, the Bosnian striker offered encouraging words for the club he spearheaded to Bundesliga glory in 2009, whilst admitting that his current side, who prevailed courtesy of goals from Sergio Agüero and Yaya Toure, were "a little too strong" for Felix Magath's side on the night. "They've signed some very good players, with [Ivica] Olic, Diego coming back and of course Naldo," Dzeko told bundesliga.com. "Together with the players that were already there, they'll be confident of getting sixth place and into Europe." A thigh injury limited the towering frontman to a cameo appearance at his old hunting ground, where the home fans reserved their biggest cheer of the night for the striker who struck 66 times in 111 Bundesliga appearances for them between 2007 and 2009. 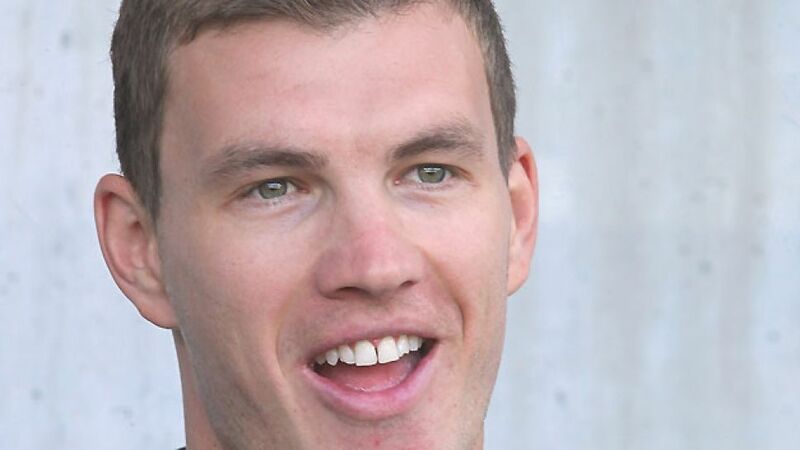 Nontheless, Dzeko was determined to repay the hosts for their warm reception. "My thigh was okay, for twelve minutes anyway," he laughed. "I shouldn't have come really, but I had to for Wolfsburg. It's a great feeling to be back here after almost two years." Dzeko paid a visit to the opposition dressing room after the game but admitted there "weren't many" familiar faces as a result of his former mentor Magath's many moves in the transfer market. "I saw 'Schäfi' in the hotel beforehand," he said, referring to his old pal Marcel Schäfer, who stung the palms of England goalkeeper Joe Hart with a rasping strike in the second half. "The manager was in there, a few players, some I didn't play with but who I know from the Bundesliga. Otherwise there was the physio, the scout..."
Dzeko, who still keeps a close eye on Germany's top flight, went on to hail the Bundesliga as one of Europe's top three leagues, particularly since it overtook Italy in the UEFA five-year coefficients: "It's great for the Bundesliga to have four teams in the Champions League. That's really something." After a season and a half of varied success in England, the big Bosnian still maintains a firm grasp of the German language and even suggested he might be tempted to return to the country in which he made his name one day: "Anything is possible," he told bundesliga.com. "I had three and a half great years here, so you never know." Andy James reporting from Wolfsburg.